Chris Baio closed the door to the vampires in order to spent some time with his laptop, stepping out with this collection of smart, not effective, just smart, homemade rhythms, on continuous mix that probably pleases him (him and only him). 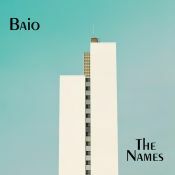 Baio fails to capture attention on this record. A truly missed opportunity that justifiably flew under the radar.